Both PayDay 2 and SpeedRunners received an update earlier today. Each game has added characters from the other as part of their collaboration. To unlock these special characters, you will need to own both games. 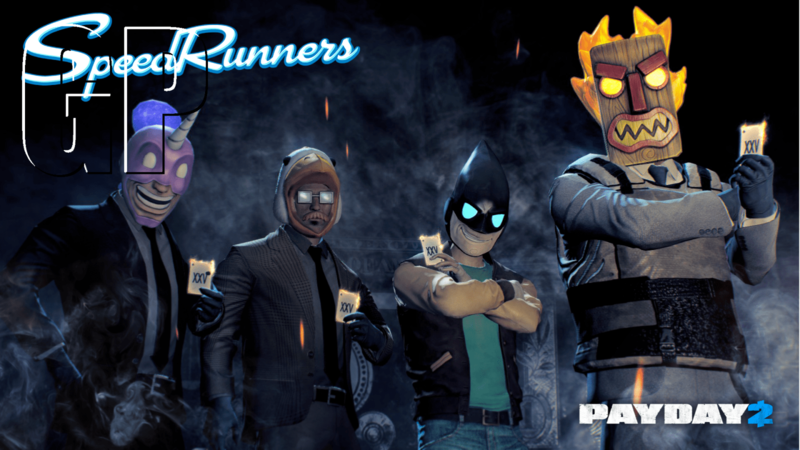 PayDay 2 players that have also bought SpeedRunners will unlock 4 new masks featuring SpeedRunners characters: Unic, The Falcon, Speedrunner, and Hot Head. SpeedRunners players that have also purchased PayDay 2 can unlock 4 new characters as secrets throughout the game: Dallas, Wolf, Hoxton, and Cloaker. Payday 2 is a co-op heist game in which players carry out a range of jobs like bank robberies and drug trafficking. Payday 2 is available on PC, Playstation 3, and Xbox 360 with a remastered edition coming for Playstation 4 and Xbox One later this year. SpeedRunners is an early access running game in which 4 players compete by running, hurdling, and use weapons to beat their opponents. SpeedRunners is currently only available on PC but an Xbox One port has been announced for 2015.